IP finance: Twitter--Will the planned IPO affect its ability to innovate? 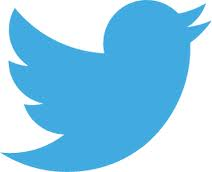 Twitter--Will the planned IPO affect its ability to innovate? The hottest hi-tech item must certainly be the news that Twitter has taken the first steps in what is expected to be an IPO of the company's stock, here. Since the announcement, there has been a surprisingly large amount of discussion in the oral media about whether taking the company public will have a dampening effect on the company's long-term ability to innovate. An instructive written summary of the issue appeared on September 13, 2013, in bits.blogs,nytimes.com by Amy O'Leary, "5 Reasons That Innovation at Twitter Might Take a Hit", here. In this piece, O'Leary reports on an interview with Shai Bernstein, a professor at the Stanford Graduate School of Business, here. Based on Bernstein's 2012 study, "Does Going Public Affect Innovation? ", here, Bernstein's conclusion was that “there is a substantial decline in the quality of innovation.” O'Leary reports that the Bernstein study used the number of patents as the proxy for the measure of innovation and the affect of an IPO on the company's innovative capabilities. Bernstein, in his interview, suggested five reasons why this is so. 1. Inventive People Cash Out The primary goal of an innovator is to have a successful exit and thereby cash out. A successful IPO is one lucrative form of exit. The result is that the company's most innovative persons leave the company. 2. Inventive People Keep Inventing, Elsewhere Here, there is also a departure of the company's most talented innovative types, but the reasons are not simply because of a big cash payday. Rather, innovative types begin to chafe at the more bottom-line driven focus of the company, especially where innovation becomes more incremental than fundamental. In the words of Bernstein, “Imagine that you have a brilliant idea.” “It’s more attractive to explore that in a private setting where you are the owner, than in a public firm, where whatever ownership you had is now heavily diluted. They do seem to remain entrepreneurial,” he said — just not at the company their innovations helped build. 3. Management Clamps Down on Risky, Creative Work The emphasis is on change to the culture of risk-taking that spawned the innovative idea that propelled the company forward. Indeed, it is reported, the origins of Twitter itself was as a side project, developed by persons were engaged in an ultimately failed audio start-up, Odeo. With the post IP-focus on quarterly reports, in the words of O'Leary, " managers at the company may be less willing to back the kinds of hobbyist passion projects that were the very genesis of the company they are managing today." 4. Why Build Innovation When You Can Buy It? Companies awash in post-IPO cash seem to have increasing preference to acquire companies rather than to continue to develop and innovate in-house. Indeed, Twitter, even pre-IPO, acquired 10 companies in 2012 alone. [I must confess I find this explanation a bit odd, since presumably acquired companies will also yield patents. In a world where collaborative innovation is all the rage, using IPO-generated funds to overcome the limitations of "non-invented here" seems a potentially good result.]. 5. New Hires Arrive, with Different Priorities An IPO-generated increase in financial resources often leads to what is called "a binge" in hiring. As Bernstein observes, “[t]here is substantial employee turnaround.” As more and more of these new employees join the post-IPO company, they will be less engaged "building something big;” rather there job is maintain and perhaps incrementally advance the pioneer ideas developed by others. In addition, new employees may be less likely to be offered stock options, at least at quantities enjoyed by the founding generation. 1. The report focuses on post-IPO activity but, over the past few years, most innovative companies exit by acquisition and the like rather than by going public. Indeed, there is more and more discussion that the venture capital industry is in dire straits. If we want to understand the factors that affect innovation, it seems that a complementary study focusing on other forms of exit is needed. 2. There is a danger in equating innovation with patent activity. While I understand that patent data are convenient for conducting empirical research of this kind, in so doing, the analysis may well miss substantial non-patent innovation, both pre and post-IPO. As such, in a social media-mad tech world, patents may be a particularly dicey proxy for measuring innovation. 3. Given this, perhaps the "really next big thing" in this kind of analysis is to develop robust empirical measures that can meaningfully taken into account the variegated countenance of innovation in today's hi-tech world. Book Review: "True Patent Value"